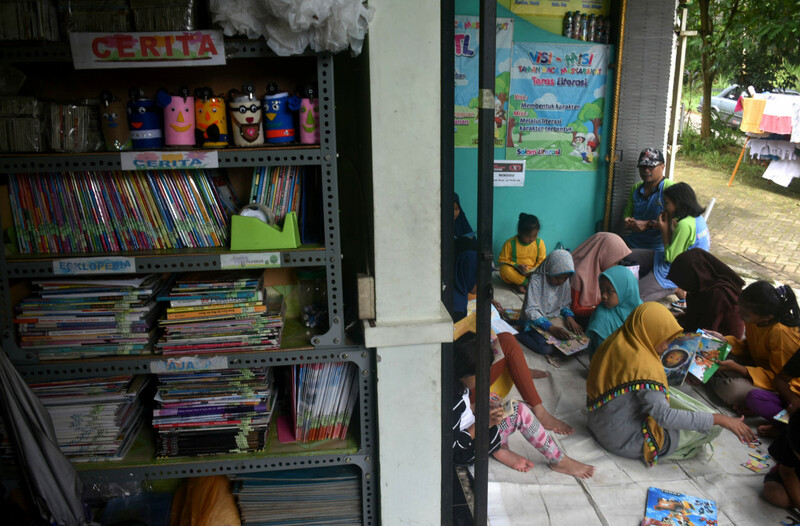 Children could be seen on a recent Sunday flocking to a community library named TBM Teras Literasi, located at one of the houses at a complex for civil servants in Lesanpuro subdistrict, Malang city, East Java. 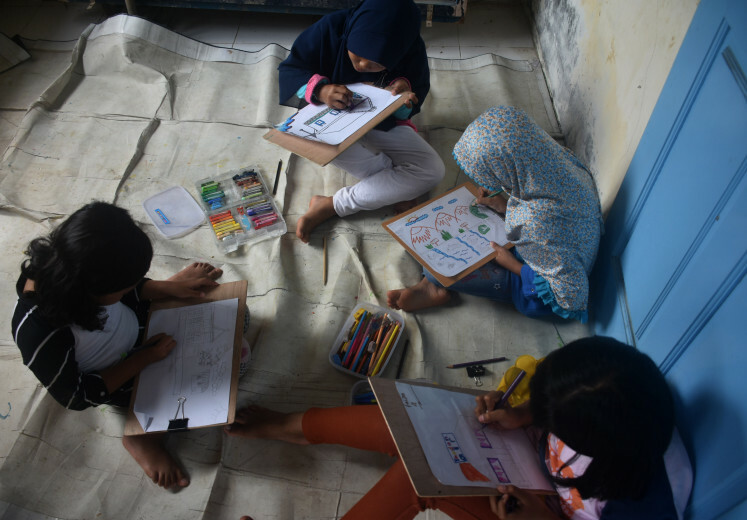 The place, founded by 45-year-old Eko Muji Wibowo and 44-year-old Suyanti, regularly hosts a children's playground and serves as a place where they read and study. The kids could be found gathered on the married couple's terrace and garage from 8 a.m. to 10:30 a.m.
"This initiative started one year ago when I saw a pile of my children's unused books at home. We initially wanted to sell them at the flea market but canceled the plan as the books were quite expensive," said Eko. "We later displayed the books on our terrace and garage on racks and turned our place into a community library for the locals, especially children. We invite them through community events to come to our house on Sunday morning while offering simple snacks." In the first two months, around 30 children visited the place every Sunday. The next three months, less children came, perhaps due to boredom, hence the couple initiated a new activity every week with the help of local volunteers. To encourage them to read, no one is allowed to use their phone at the place. Creative activities are offered to keep the children busy such as recycling plastic bottles and wrappers into tables, chairs and toys as well as gardening, cooking, playing traditional games and dancing. "Since I joined cooking at the community library, I always eat all the food cooked by my mother. I also buy less snacks and save the money instead," said 8-year-old Rina Melati. "The kids here usually spend their spare time doing the same thing every day and play with gadgets a lot. Most of them were introduced to gadgets by their parents at 2 years old," said Eko. 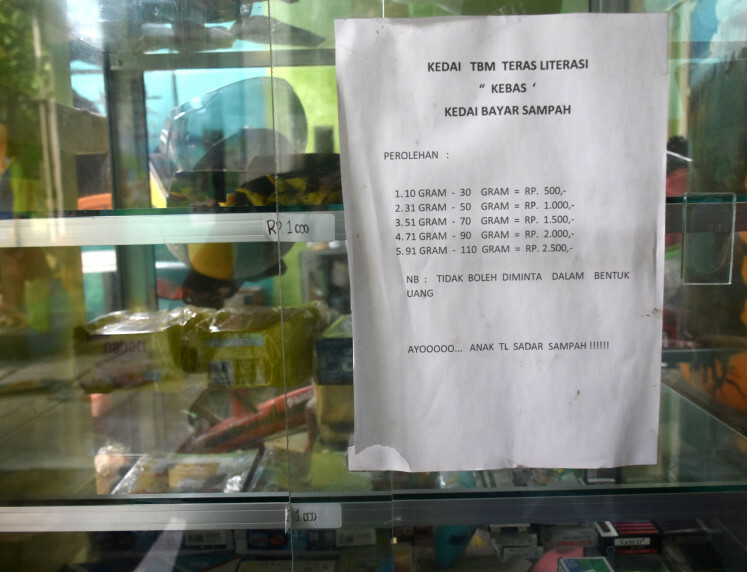 The community library also encouraged children to pay for snacks or school equipment with plastic waste from their home and managing their own flea market of children's clothes.